At the heart of the North East of England is Newcastle. Newcastle and Gateshead form a single, diverse, and vibrant destination both for conducting business, and for leisure travellers embarking on a city break. From our selection of hand – picked serviced apartments you can enjoy world class culture, vibrant nightlife, award winning dining, inspiring heritage, fantastic shopping, and acclaimed architecture. The North East of England adopts quite a different dialect from London and surrounding areas, which adds to the distinctive beauty of the area and people. The centre of the city is very much focused on business, bounded by Haymarket, central station, and the Quayside areas. With a variety of Serviced Accommodation located in the city centre, you can reach the office from your home away from home in easy walking distance, going from eating breakfast in your dining room to engaging in a meeting with comfort. Whether you are looking for family accommodation, corporate accommodation for employees, or a location to entertain a business group, we can provide a solution to your requirements. Many of our serviced apartments offer meeting and additional facilities, and living and dining areas appropriate for entertaining clients and families, as well as fully fitted kitchens and facilities for a cost efficient trip. Please discuss your requirements with us and let us help you to find the correct Newcastle accommodation for your stay. Baltic Quays Apartments, ideal for business and extended stays Baltic Apartments are set within the heart of Gateshead quay and provide excellent two bedroom apartments that are not only well appointed but equiped to a high standard. The..
4 star accredited serviced apartments based in the heart of Newcastle upon Tyne Offering a mix of spacious one and two bedroom apartments, all of the apartments of Premier Apartments Newcastle offer generous open plan living rooms and.. 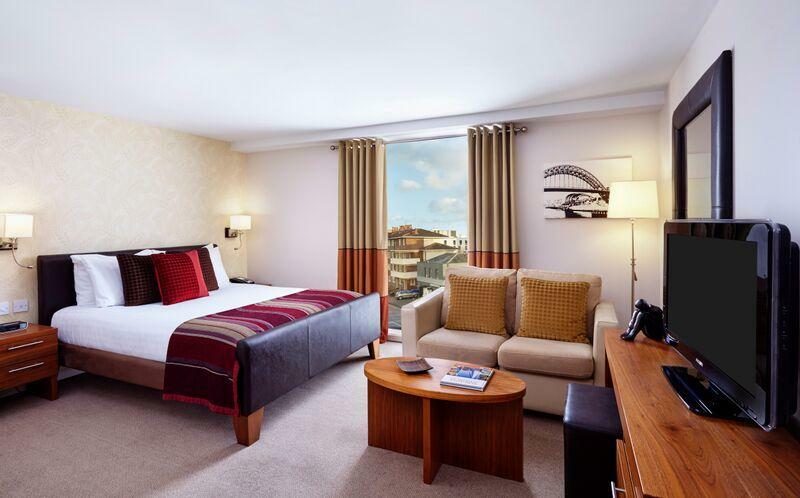 Stylish Studios and One Bedroom Suites 5 minutes' walk from Newcastle's vibrant Quayside Make the strikingly modern Staybridge Suites Newcastle your home-from-home in one of the stylish studios or one bedroom suites. You're free..